What Annam Pathip­-pakam in Sivagangai was to a few modern Tamil writers, a place to congregate and discuss literature, Puduk­kot­tai’s Kan­na­piran Achakam was for writers some 70 years ago. Novelist Akilan, film director Pa. Neela­kantan, lyricist Ku.Sa. Krishna­murthy were some of the writers who met at the press regularly to discuss literature. Para­surama Iyer, the owner of the press, was responsible for bringing out a few magazines for children, like Balar Malar, a fortnightly edited by ‘Tamil Nila­yam’ V.Sp. Nate­san, Dama­ram, a weekly, and Sangu, a bi‑week­ly, both edited by Sp. Chokka­lingam. They all folded up later. Ding Dong was the last magazine the prin­ter-publisher brought out. He did so at the ­insistence of his son Venka­traman, barely 18 then, whom he asked to be its editor! Azha Valliappa, Pudukkot­tai principality, the chil­dren’s poet, wrote many poems in Balar Malar. Young Ven­ka­tra­man, around seven then, became an ardent fan of Valli­appa, the doyen of children’s Tamil literature. He shaped several writers and poets to write exclusively for children. (Incidentally, Valli­­appa is acknowledged only as a children’s poet, whereas he was equally facile in writing stories, like Burma Ramani, etc. for children.) Azha Valliappa, it is said, was the honorary editor of almost all these children’s magazines published from Pudu­k­ko­ttai and inspired a generation of young poets. Muthu Naraya­nan of Pappa Malar, Sakthi Govindan of Anil and Kuzhan­thaigal Seithi and Rama Thyaga­rajan of Pappa all belong to Raya­varam in Pudukkottai. Thus, Rayavaram in Puduk­kottai state (now District) can well be called the cradle of children’s Tamil literature. Valliappa was appointed editor of Gokulam which came out from the Kalki stable in 1982 and which successfully survives to this day thanks to ‘Punithan’ and E.S. Hariharan (‘Revathi’) who succeeded Valliappa. ­Arguably, Azha Valliappa, Tamil­va­nan and Aarvi could be called the Triumvirate of child­ren’s Tamil literature. Venkatraman, who turned 80 in October, was felicitated by his friends and admirers for his devotion to children’s literature and particularly to Azha Valli­appa, for whom he installed a statue in the school where the poet studied in Rayavaram. The statue was donated by Vairavan Chettiar. While he was vice president of the Pudukkottai Children’s Writers’ Association, Venkat­ra­man had appealed to the then Education Minister, C. Subra­maniam, to bring out a chil­dren’s encyclopedia. This ­resulted in the Government launching the 10-volume pro­ject with Pe. Thooran as its honorary editor. When Sahitya Akademi orga­­nised a seminar in 2012 on ‘Children’s Magazines in Tamil’, Venkatraman was one of the main speakers and pointed out that he had had the opportunity of editing a child­ren’s magazine even as a teenager, when he was a student of Maharaja College, Puduk­ko­ttai. A recently released book of poems and a CD on road safety reveal his concern for children. One person who retired from government service in Tamil Nadu and settled in Hyderabad from 2003 but does not mind travelling all the way to Chen­nai, to meet his fans or to address meetings connected with chil­dren’s literature, is Ilayavan. That his young admirers run a magazine with an eponymous name, as well as, another magazine Nirai is proof enough of his popularity as an organiser, orator, writer and poet. Ilayavan turned 70 recently and there were celebrations in Chennai to hail him as the captain of the movement for the young. What is laudable is that he visits Chennai on his own and encourages his young school-and college-going fans with inspiring talks through his forum ‘Ilakkiya Charal’. “He gives opportunities to the young to showcase their talent and motivates them to be responsible citizens,” says Kanthalak­shmi Chandramouli, the writer. Ilayavan has also established contact with a Telugu literary group in Hyderabad and supports and honours them through his Nirai group. His passion, drive and zeal in ­promoting children’s literature are undiminished even today. The authorities of the Thiru­thu­raipoondi temple held a ‘Bhajagovindam Namavali’ competition for children between the ages 9 and 12. There was one particular 9-year old boy who caught everyone’s attention. “Ah, a 9-year old boy singing so beautifully!” mused a mesmerised audience. “It came as no surprise when, at the end of it all, he walked away with the first prize!” reminisces Tulasi Bhat, in his short biography of Ilayavan. In the early 1980s, Ilayavan wrote a series of devotional songs and presented them to Kanchi Mahaswami. 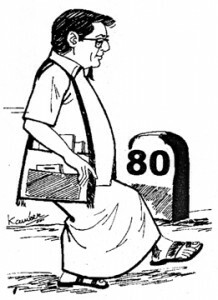 In 1999, his poems on Mahatma Gandhi were serialised in Kalaimagal magazine. In 2006, he composed poems on Kamarajar. 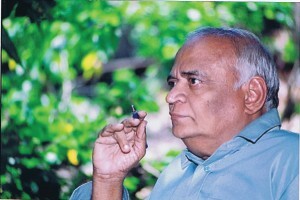 Ilaya­van Kavithaigal, an antho­logy of his poems, was released in 2010. Ilayavan is closely associated with Bharati Kalai Kazhagam which honoured him with the title ‘Kavimamani’ in 1984. Kalaimamani Vikraman, who edited Amudhasurabi for many years, was Ilayavan’s mentor for more than a ­quarter century. 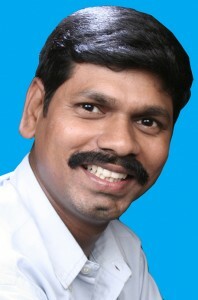 Maithreyan, mp, is a well-known supporter of ‘Ilakkiya Saral’ and ‘Nirai’, founded by Ilayavan. The late ‘Aarvi’, editor of Kannan, was mainly responsible for discovering the talent of Ilayavan and urging him to write poems and serials. Kannikoil Raja is relatively young and dynamic. He is in the news because his collection of short stories for children, Bhoo­mikku Vandha Kutti Me­gam, has won the first prize in the inaugural competition this year, conducted by ‘Ezhuthu’, a new initiative floated by former minister P. Chidambaram to promote Tamil literature. Dr. Tiruppur Krishnan, currently editor of Amudhasurabi, introduced the book to the audience. The stories in this award-winning book meant for children deal with the environment. Another of Raja’s books for children, Thanga Meengal Sonna Kathaigal, is to be released in Malaysia later this year as a consequence of the Department of Indian Studies, University of Malaysia, and Kalaignan Pathi­p­pakam, Chennai, teaming together. For a person so young, Kan­ni­koil Raja’s output and the number of awards, rewards and recognition he has received so far, are amazing. He was a pioneer in transmitting Tamil Haiku poems through SMS. Raja has written 15 books so far for children, published by different publishers. These include Haiku poems, too. He has compiled another 13 books, which include one of Haiku poems written exclusively by women poets. 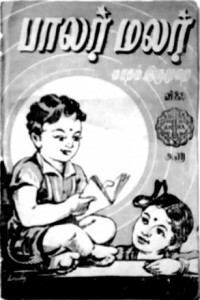 Raja’s contribution in the field of children’s literature has been documented by Mannai Pasanthi. 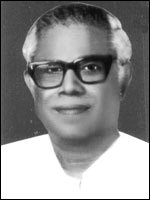 ‘Sollaruvi’ Muthu Srinivasan of Pudukkottai has included a separate section on Raja’s life in a book. In a compilation of articles for Coimba­tore Semmozhi Manaa­du, Prof. Aditan has mentioned in detail the Haiku poems created by Raja and sent through SMS. Some of Raja’s poems for children are tuned and taught by Pichayammal of Uratha Sinthanai. Some poems set to music by Karpagamare are sung by Edayur nursery school students. For the first time in the history of SMS, he ran a magazine in SMS format for six continuous years, from 2005 to 2011. His two collections of essays have been prescribed for academic studies in the women’s colleges in Coimbatore and Sivakasi. Raja’s latest book of short stories is based on the principles propagated by former President Abdul Kalam and will shortly be published by Manivasagar Pathippakam. The book is sure to bring more laurels to Kanni­koil Raja.